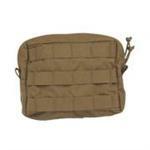 Our Accessory Pouch 1H is a horizontal utility pouch designed to hold your smaller miscellaneous items such as first aid supplies, small tools or anything else you can think of. 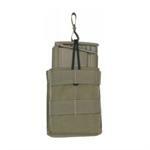 Our Accessory Pouch 1V is a vertical utility pouch designed to hold your smaller miscellaneous items such as first aid supplies, small tools or anything else you can think of. 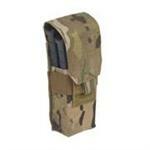 Our 2 Mag 5.56 Pouch is designed to hold two 30 round M16 style 5.56 magazines but can also hold one G36 or similar odd-sized magazine. 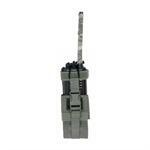 Our double pistol mag pouches are designed to fit almost any size pistol mag. 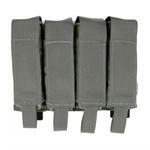 The Three Mag 5.56 Pouch is designed to hold three 30 round 5.56 magazines. 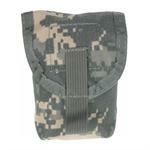 Our triple pistol mag pouches are designed to fit almost any size pistol mag. 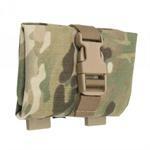 Features adjustable and removable Velcro flaps and each pouch contains an injection molded retention clip to securely hold your pistol mags until you need them. 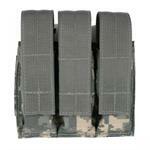 The 40mm 4rd M203 Panel will hold four rounds of 40mm ammunition. 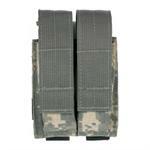 Extra long Velcro secured flaps adjust for various types of rounds from HE to illumination. The Canteen Utility Pouch is designed as a general purpose pouch that will fit a standard 1qt canteen (without cup) or most 1 litre water bottles. G.P. 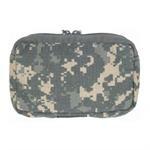 POUCH: A highly functional general purpose pouch designed to put those mission critical necessities easily within reach. 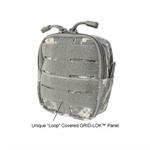 Has unique "Loop" covered GRID-LOK™ face to hold additional cargo, or, allows you a place to put your rank and insignia. 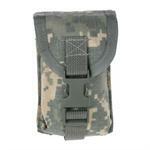 Our Knife Pouch will hold a large sized folding knife, SureFire flashlight, or an extra pistol mag. 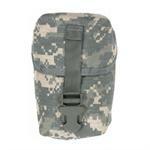 The Large Utility Pouch is big enough to hold a canteen, large water bottle or even a 1.5 liter hydration bladder. 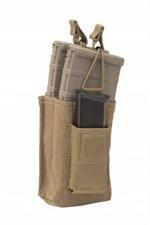 Our Magna Mag pistol mag pouch holds your pistol magazines securely with the flap open or closed. 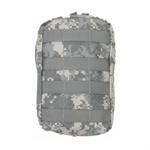 Our Medical Pouch is designed to carry your important medical supplies. 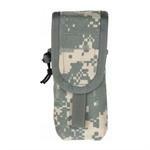 Dual zippers run the full length of the pouch to give you easy access to the contents. The "MMRU" is a smaller verion of the "MRU" . 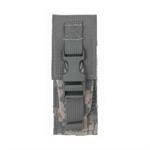 It measures 3.25" X 6" X 2.25" , with a zipper opening . 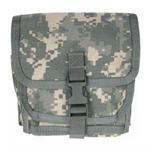 It's designed to carry your smaller items such as GPS , Small binoculars , and other smaller items at the users preference . The Modular Zipper Utility Pouch is designed to hold medical supplies (500ml IV bag, 2 rolls of Kerlix starter kits, ace wrap, etc.) 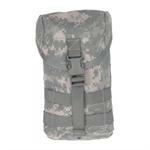 but it is also large enough to hold a 1 quart GI canteen or Nalgene bottle. 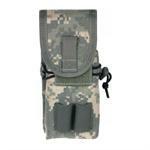 Originally designed to hold one 10-round .50 cal Barrett magazine, our Multi-Purpose Pouch is a medium sized pouch ideally suited to hold larger items such as small binoculars or similar sized items. 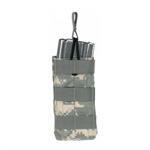 Our Multi-Tool Pouch is designed to hold regular size multi-tools or folding knives. 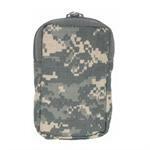 Our Large Radio Pouch is designed to hold a variety of larger military and law enforcement radios, from the Motorola Saber to the AN/PRC-148 MBITR. 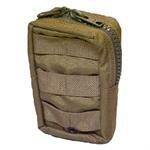 Our SAW Pouch will hold a 200 round SAW drum, 150 rounds of 7.62mm or two .50 cal Barrett 10 round magazines. 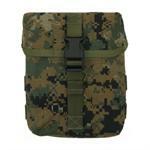 Our Single 5.56 Mag Pouch will hold one 30 round M16 style 5.56 magazine. 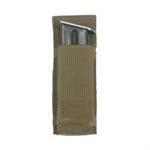 Our Single 7.62 Mag Pouch will securely hold one twenty round 7.62 (.308) mag. 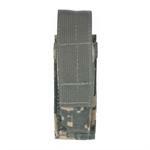 Ideal for SCAR Heavy, M-14, HK-91, FN FAL or most other 20 round 7.62 rifle magazines. 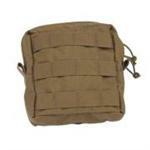 Our Small Utility Pouch is designed to hold a compass, first aid dressing, two pairs of handcuffs (chain or hinge) or any similar sized items. 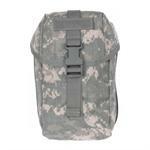 Our Strobe/Compass Pouch will hold the old and new style military strobe lights or a compass.